One of the most effective tools of persuasion is to start by claiming neutrality and then, by a process of research, objective analysis, and dialog, reach a conclusion that was the same conclusion you started out with before you claimed neutrality. The major media in the United States have done a nice job with this over the years. We're seeing this at play right now regarding Book of Mormon geography issues. One way to tell whether neutrality is real or an illusion is to look at the participants. A code of ethics for journalists includes the principle that journalists should "Support the open and civil exchange of views, even views they find repugnant." However, time and space are limited, so not every aspect of every view can be represented. Journalism involves editorial choices; complete and pure objectivity is probably impossible. But neutrality is still a goal. Reporters, editors, and staff are influenced by their personal views. Those who disagree with those views would call it bias; those who agree with those views would call it seeking truth. And from their different perspectives, both sides are right. In the major media, for example, the vast majority of the reporters, editors, and staff are liberal in their views. Most are Democrats, or at least contribute to Democrat candidates. They see the world through Democrat/liberal/progressive lenses. The lenses filter every news story; information enters their brains through that filter, and they report and edit accordingly. Years ago I worked in the entertainment industry. 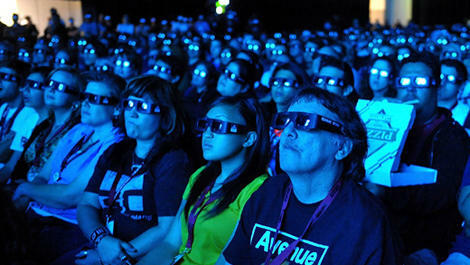 One of our projects was 3D movies and technology, which involved polarizing light. If you go to a 3D movie and wear the glasses, each eye sees a different image because projectors are projecting images through polarized lenses. The images on the screen are polarized, so they reflect polarized light back to the audience. (Special screens are required to retain the polarization.) Only lenses with the correct polarization can see the polarized light. One eye literally can't see what the other eye sees because of the lenses. If you replaced the right eye lens on your pair of glasses with the lens off the left eye of another pair of glasses, both of your eyes would see the same image. It would be flat, like an ordinary movie. If you take off the glasses, you'll see two images on the screen. Without the filters, you see clearly, but because two images are projected, it looks like you're seeing double. What happens to reporters and polarized light also happens to scholars. Since we're discussing Central America, consider the case of the Book of Mormon Central web page. At first glance, you might think it is a page dedicated to Book of Mormon scholarship of all kinds. You might think it is dedicated to the journalistic principle of supporting the open and civil exchange of views. But if you look closer, you'll see that the web page is pre-filtered. Everyone involved with Book of Mormon Central espouses the Mesoamerican geography. This is good news for Mesoamerican supporters; you don't have to worry about Book of Mormon Central. You can read the KnoWhys and the archive items with no problem. Those who support an alternative geography can still benefit from Book of Mormon Central because there is a lot of good material there that doesn't involve geography. Besides, you already expect the information about geography to be filtered the same way most of the material published by LDS scholars on that topic is filtered. True, when you're not wearing a Mesoamerican filter, the images are confusing, just like looking at a 3D movie screen without filtered glasses. Maybe it was because he was not wearing this filter that Joseph Fielding Smith said the two-Cumorah theory was causing members of the Church to become confused and disturbed in their faith of the Book of Mormon. The point to remember is that neutrality is in the eye of the beholder--in this case, literally--because we all see things through lenses. Fortunately, when we're aware of the lenses, we can take them off and see more clearly. We can switch lenses, maybe borrow some from someone else so we can see what they're seeing. If we switch lenses often enough, and take them off altogether sometimes, maybe we can move toward the journalistic ideal of supporting the open and civil exchange of views, even on a web page as deeply dedicated to one point of view as Book of Mormon Central is. I'm beginning to think that the people behind "Book of Mormon Central" chose the name as a play on words. In other words, Book of Mormon: Central. Or Book of Mormon--Central. They are most certainly not Book of Mormon Geography neutral. Far from it.